Pat scallops dry with paper towel and season with a pinch of sea salt. In a small bowl, combine horseradish with remaining ingredients and set aside. Heat a pan to medium high heat and add a little olive oil. Fry scallops– 2 min on one side, just a minute on the other, until no longer translucent in the middle. Remove from heat and season with cracked black pepper. 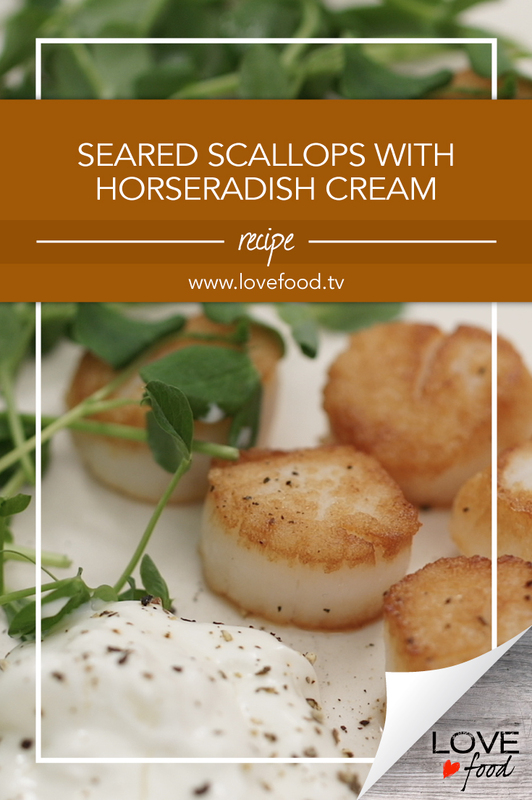 To plate, spoon a dollop of cream on plates and top with scallops. Finish with a tangle of micro greens and a pinch of sea salt and pepper.